Dr Anima Bodane is the Principal Dentist at NW1 Dental Care. Since graduating from the University of Dundee in 2004, she has gained a huge amount of experience working in both NHS and Private Practices across the UK. She has furthered her professional development by undertaking many postgraduate courses in cosmetic dentistry, implants and facial aesthetics throughout the UK and worldwide. Blessed with an eye for detail and a gentle touch, she has created stunning smiles for many patients from all over the world. Her philosophy is simple – to achieve the desired results with the most minimal intervention required, in the most stress-free, comfortable and relaxing of environment. Dr Bodane ensures adequate time is dedicated to listening to patient clinical desires, discussing all available options and creating a truly bespoke experience. She not only pays emphasis on the clinical treatment but the entire patient journey in committing to providing the highest standard of care. Dr Bodane’s strength lies in her ability to build up relationships with patients and her happy and calm style. This is particularly evident in numerous cases where she has been able to turn around an extremely nervous or scared patient. 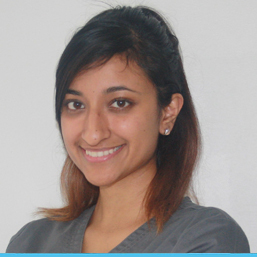 Her main clinical passion lies in in cosmetic and implant dentistry. She provides a range of short term orthodontics systems particularly Invsalign. She is also a certified Lumineers and Snap on Smile Provider. Her skills and expertise have brought her unswerving loyalty amongst her clients who travel nationwide and from overseas to come see her. Outside of work she spend most of her time with her young son, socialising with friends and family. She likes travelling and enjoys going for musicals, concerts and operas across the globe. 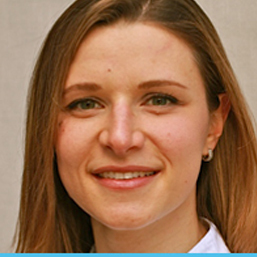 Dr Giulia Zagni is an experienced dental professional with an interest in Endodontics (root canal treatment). She qualified in Dental Surgery from the University of Bologna in 2008 and she completed a Master Degree in Endodontics at the same University in 2010. In 2012 she completed a 2-years course in TMJ dysfunctions and will help determine if an appliance or a combination treatment with an osteopath/physiotherapist is needed. 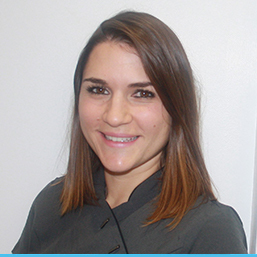 Since 2008 Dr. Giulia has been working for private practices both in Italy and London focusing her interest on Endodontics. She is also skilled in minor oral surgery and complex extractions and enjoys handling complex cases. She aims to provide dentistry to the highest standard at all times. Dr. Adam Cusumano joined NW1 dental care as an experienced former principal dentist and practice owner. Born and raised in the Channel Islands he began his studies at the prestigious Victoria College. He subsequently qualified at the award winning Kings College London ranked one of the top dental schools in the world during his tenure. Since qualifying Adam began working in the private sector and NHS caring for and treating a wide range of patients as a dental surgeon. 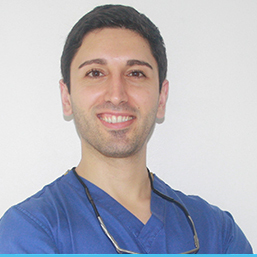 Adam’s calming nature and gentle touch has proven invaluable, he enjoys regaining patients confidence in dentistry successfully treating many nervous patients both with and without sedation. Adam has a special interest in Orthodontic Restorative treatments of Adult patients and enjoys rehabilitating patients giving them the confidence to smile again. Adam speaks 5 languages (English, Spanish, Portugese, Italian and French) and can easily liaise with any clients who would prefer to speak in these languages. 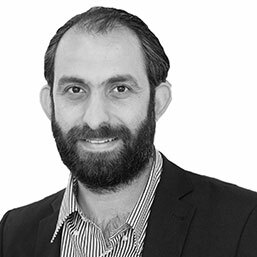 Adam is fully registered with the dental regulators and enjoys keeping up to date with the latest advancements in dentistry furthering his knowledge to better serve and care for his patients. Diana completed her Master’s Degree in Dental Medicine at the University of Lisbon in 2011 and has since been working in private practices as a general dental practitioner providing a multitude of dental services. Diana has attended numerous conferences, congresses, seminars and workshops on Rehabilitation, Periodontics, Teeth Whitening and Aesthetic Dentistry. Diana is passionate about enhancing her patients’ confidence by improving the appearance of their smile in a healthy and natural way. She brings to this practice an empathetic approach, gentle and caring chairside manner which has resulted in establishing great relationships with her patients. Dr. Diana is also happy to work with the Portuguese and Brazilian community in the UK, since Portuguese is her mother tongue. She is also fluent in Spanish. Dr Shabana Hudda qualified as a Dentist from the University of Glasgow during which time she also completed an intercalated BSc degree in Pharmacology. She has experience in treating patients within the NHS and private sector and before moving to London last year, she was working as a General Dentist in the Highlands of Scotland, where she grew up. 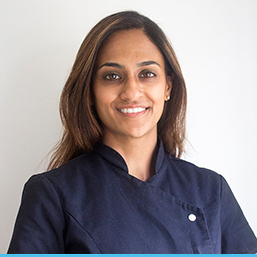 Shabana has additional qualifications in facial aesthetics and has an eye for detail when it comes to restorative dental treatment. She strives to achieve the best aesthetic results with the least invasive approach. Shabana is known for her calm and caring nature which makes her particularly suited to treating anxious patients. She enjoys regularly attending courses to keep her up to date with advancements in her field. Dr Rafik Hebeish qualified in 2000 from Ain Shams University Cairo. He has worked in London since 2004. He honed his surgical skills working in the maxillofacial department in hospital, and from there he entered the realm of private dentistry and has since helped create new smiles for many thousands of patients. Rafik always strives to learn new techniques to provide the most comprehensive treatment for whoever is under his care and has undergone Smile design training at the Perfect Smile academy. His main interest lies in dental implants for which he has trained extensively from the world renowned Eastman Dental Hospital to be able to perform internal sinus lifts, bone grafting and full mouth implant reconstruction cases.